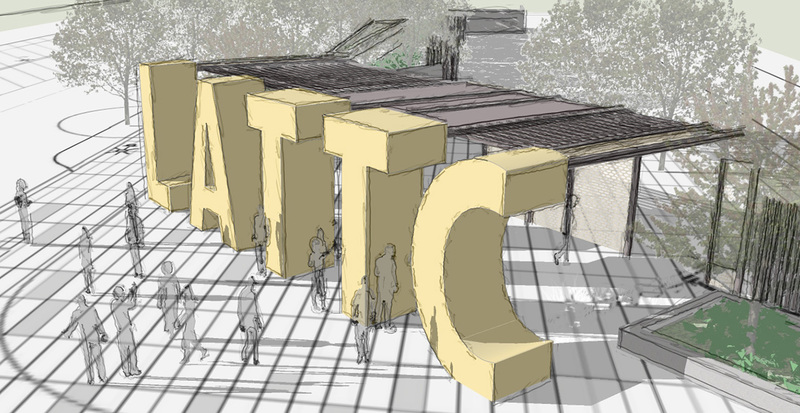 The (LATTC) Los Angeles Trade Technical College Grand Avenue Enhancement – Blue Line Station Extension Project is a streetscape and campus entry landscape re-envisioning for the campus adjacent to downtown Los Angeles, California. 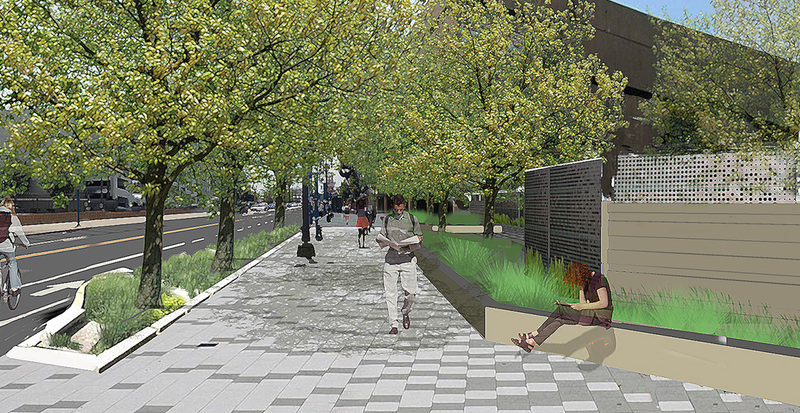 Intended to clearly differentiate the urban environment at the borders of the campus, the project fills in pieces of the streetscape and focuses on the entry experience of the campus by transit users. A new entry plaza and monument sign at the corner of Grand Avenue and Washington Boulevard open up the campus to the bus and rail users alike, while a street redesign of Grand Avenue widens the sidewalks and allows better access to and connectivity between bus and rail stops. Stormwater parkway planters complete the “green street” goals of the project and add to the beautification of the street. A small entry plaza and campus sign at the corner of 23rd Street and Flower Street opens up the southwest corner of the campus to the adjacent rail station.